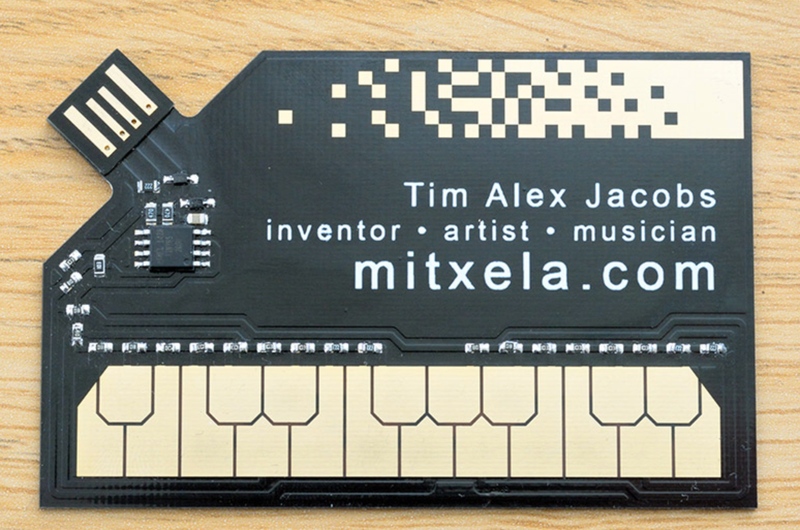 Master maker Tim Jacobs created a fantastic business card that's actually a Stylophone synthesizer complete with MIDI capabilities. It's based on the original 1967 Dübreq Stylophone, a small synthesizer played by touching a built-in stylus to the metal keyboard. The Stylophone was famously used on David Bowie's "Space Oddity" and Kraftwerk's "Pocket Calculator." Printed Circuit Boards as a business card are a great gimmick. I'd seen ones with USB ports etched into them, which enumerate as a keyboard and then type a person's name or load up their website. It's just about possible to build them cheap enough to hand out as a business card, at least if you're picky about who you give them to. A couple of years ago I took a stab at making one for myself, but I didn't want it to be pointless. I wanted it to do something useful! Or at least entertain someone for longer than a few seconds. I can't remember quite how I got the idea of making a MIDI-stylophone, but the idea was perfect. A working midi controller, that's unique enough in its playing characteristic to potentially give some value, while at the same time costing no more than the card would have done otherwise, since the keyboard is just a plated area on the PCB, as is true on the original stylophone. Reddit user marc_urzz posted this photo of the fantastic sink in his step-uncle's bathroom. A little web searching then led me to the tenor horn urinals below. It would also be fun to use a trumpet as a shower head! 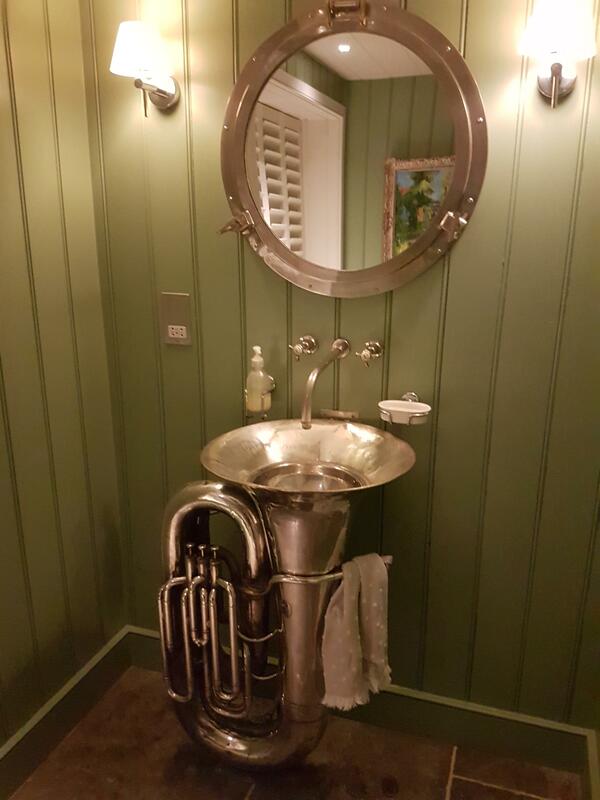 What instrument would make a good toilet? Your supervisor would like to speak with you today at 10:53am. Good thing you have a great tasting sandwich to deal with that unreasonable feedback. 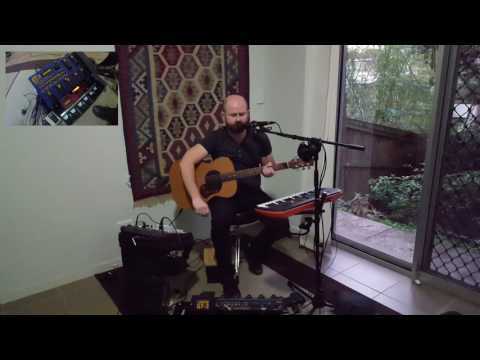 A fantastically fun looper pedal cover of The Cure's "Close To Me"
I've been researching looper pedals for my 12-year-old guitarist son and happened upon this video of Mick Bishop using his Boss RC-300 Loop Station to create a very fun cover of "Close To Me," perhaps my favorite song by The Cure. 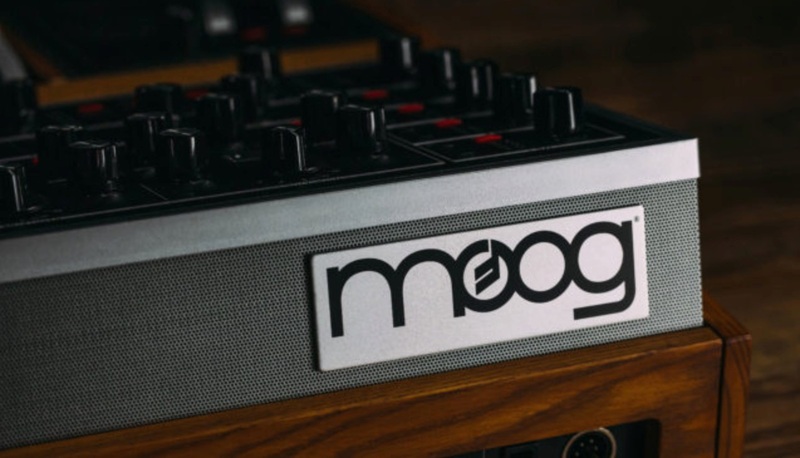 Clad in a handcrafted ash cabinet, the Moog One aluminum front panel is fitted with 73 knobs and 144 buttons, welcoming hands-on interaction with all the sound-sculpting and performance controls. Extended on-screen functionality is accessed via More buttons (one for each module) that serve up additional parameters in the center-panel LCD to deliver the most intuitive and efficient synthesis experience possible. Maybe you don't want to shell out a heap of cash for real bagpipes. 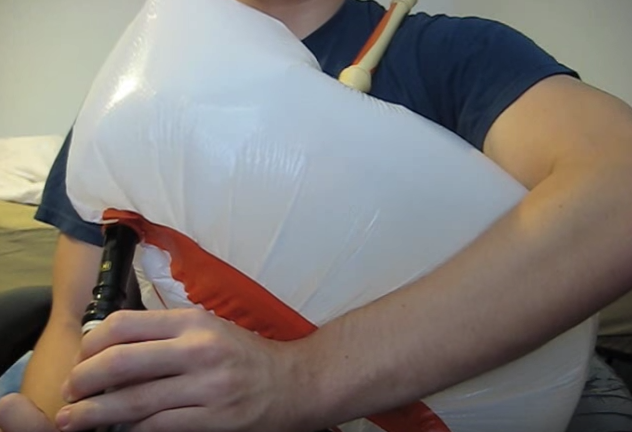 Or maybe you just want to make a trash-bag instrument. Teenage Engineering, maker of the very cool OP-1 keyboard synthesizer, introduced three new pocket synthesizers. With "PO-33, sample any sound source using line in or the built in microphone. Melodic mode lets you play chromatic melodies and drum mode lets you play drums. sequence it all and add effects on top. Unique to "PO-32 Tonic [drum synthesizer and sequencer] is its wide range of sonic capabilities. 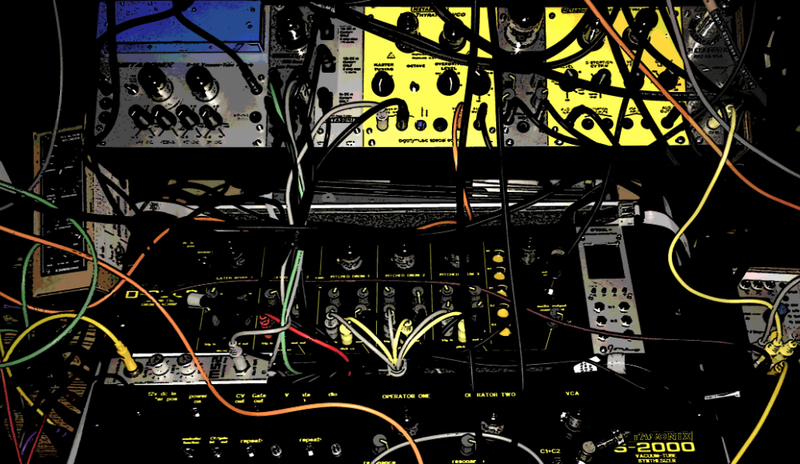 Users can even use the standard desktop version of sonic charge microtonic to shape sounds, generate patches and pattern data, and have that transferred wirelessly back to the PO-32 tonic. "PO-35 speak, vocal synthesizer and sequencer with built-in microphone for 8 different voice character sampling. Blipblox is a deceptively simple-looking toy that lets young kids experiment with sound design and music. 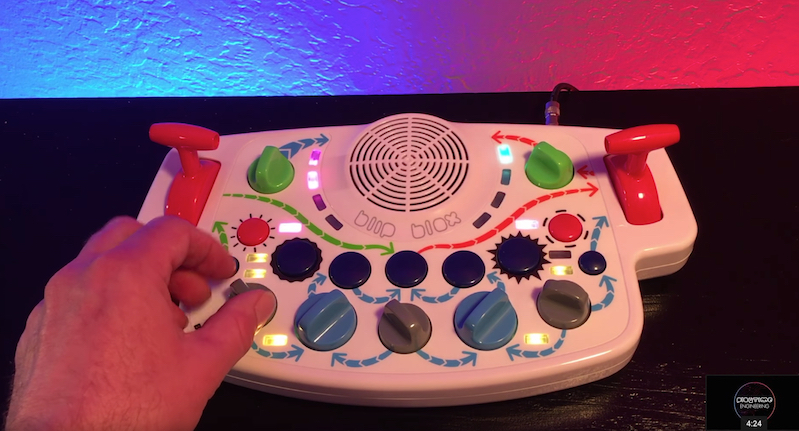 The Blipblox is a fully functional synthesizer beatbox that has been simplified and optimized so everyone, including children as young as 3 years old, can enjoy synthesizer audio exploration. This video will give you a taste of the wide range of fun sounds you can create on the Blipblox. Ships with a Learning Toolbox to help older kids (and adults with no synth experience) dig a little deeper. My personal policy is never to give children's gifts that make any kind of noise, but if there's someone in your life with a high tolerance for kid-produced sounds, maybe their little creative person would enjoy this. 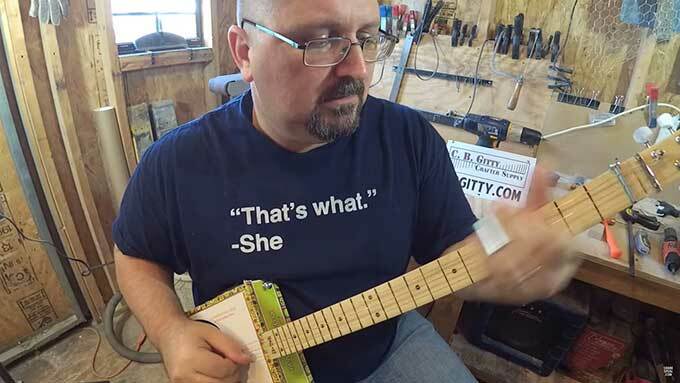 Shane Speal, the king of cigar box guitars, has a great tutorial on how to play Muddy Waters' music on a three-string guitar tuned to open-G.
After seeing people make musical tones by rubbing their wet fingers around the rim of a wine glass, Benjamin Franklin invented the glass armonica in 1761. Today, there are very few glass armonica players. Chris Funk of the Decemberists went to visit one of them. Dean Shostak is one of last true masters capable of playing the glass armonica – an enchanting instrument lost to time. First devised in 1761 by Benjamin Franklin, the art of “playing glass” began to fade in popularity as musical fashions changed. 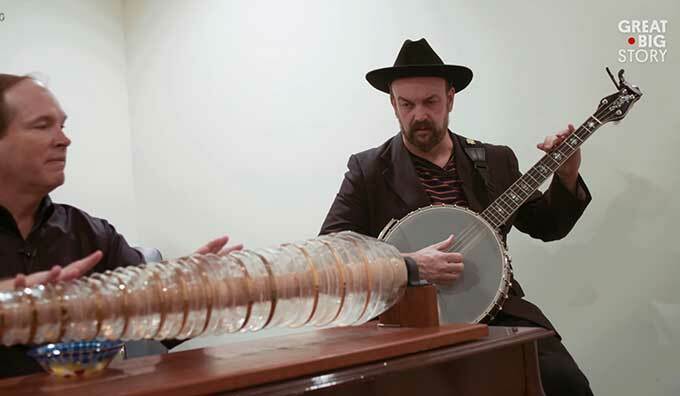 Today, there are only eight glass armonica players left in the world. Along with the revival of the armonica, Shostak is also reintroducing an entire family of glass instruments, including the glass violin, the crystal hand bells and the French Cristal baschet. I'm not a guitar player (though I did take lessons in my youth), but I am a huge Nick Drake fan and have always been haunted by the very unique, dark, and moody guitar tones that he achieved. 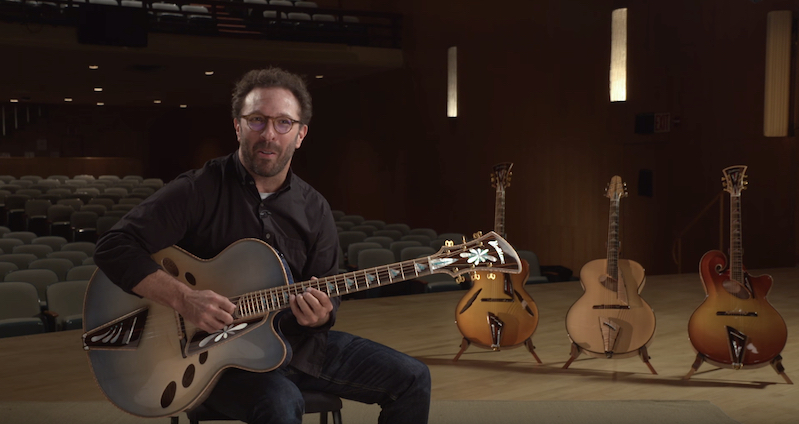 In this fascinating video by YouTube guitar teacher, Josh Turner, he presents and demonstrates his theory for how Nick got his signature sound. At the end of the video, to demonstrate the sound, he launches into the first part of Things Behind the Sun. It sounded so beautiful, it made my eyes want to roll back in my head. And made me immediately run to the original as soon Josh's video was over. 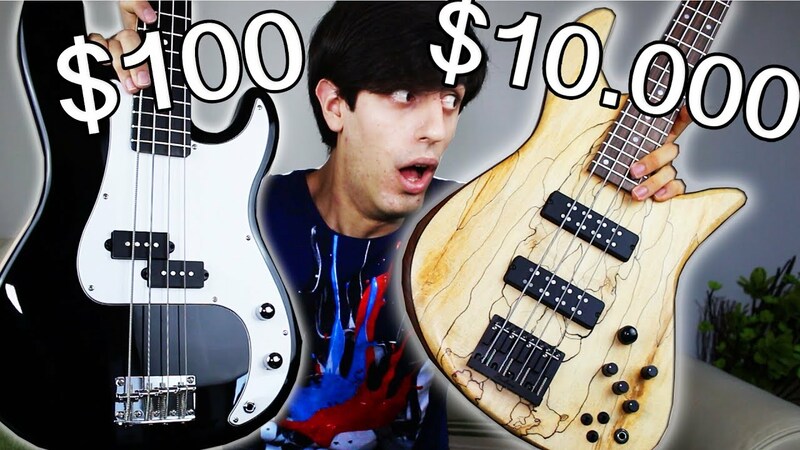 In this video, UK-based YouTuber and bassist Davie504 plays a solo on a $100 bass, a $700 bass, and a TEN-THOUSAND-DOLLAR bass* to compare them. I watched the video five times and still can't hear that much of a difference. Admittedly, I'm not the best judge of these kinds of things. Brian May, the lead guitarist and composer for Queen, is a multitalented guy. A Guitar World readers poll ranked him as the 2nd greatest guitarist of all time. He also has a PhD in astrophysics from Imperial College London was on the science team for NASA's New Horizons Pluto mission. He also made his own guitar with his father in the 1960s, which he called The Red Special. 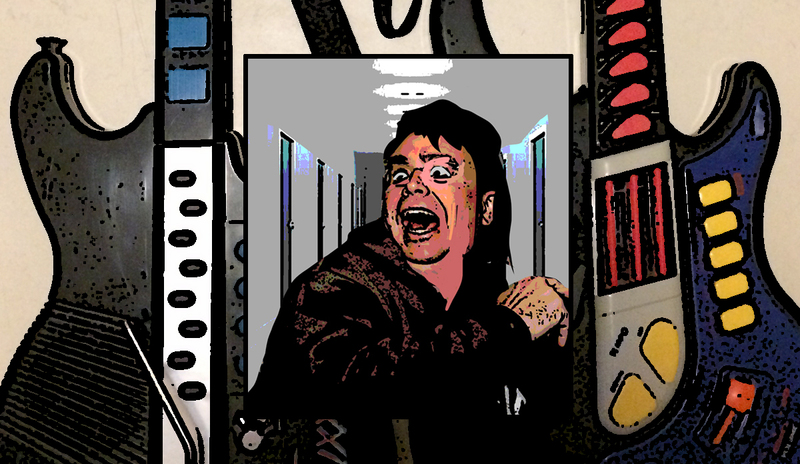 Hackaday has the build notes. 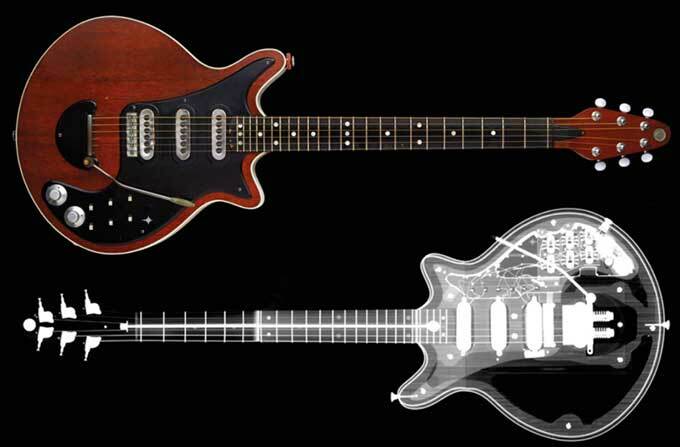 Every part of the Red Special was a process of trial and error. This is the true hacker spirit behind the guitar. Most trials didn’t work the first time, but Brian and Harold iterated until they reached their goals. An example of this is the pickups. Brian’s experimentation with pickups started with his Egmond guitar. He bought some Eclipse Magnetics button magnets from the local hardware store. These formed the core of the pickup. Harold then helped him build a coil winding machine, which allowed Brian to manually wind thousands of turns of fine copper wire around the pickups. 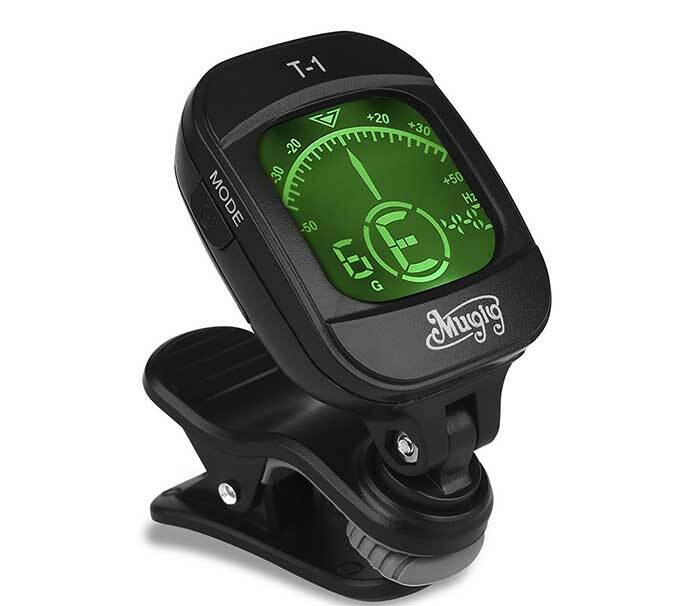 It even had a wind counter built from a bicycle odometer. 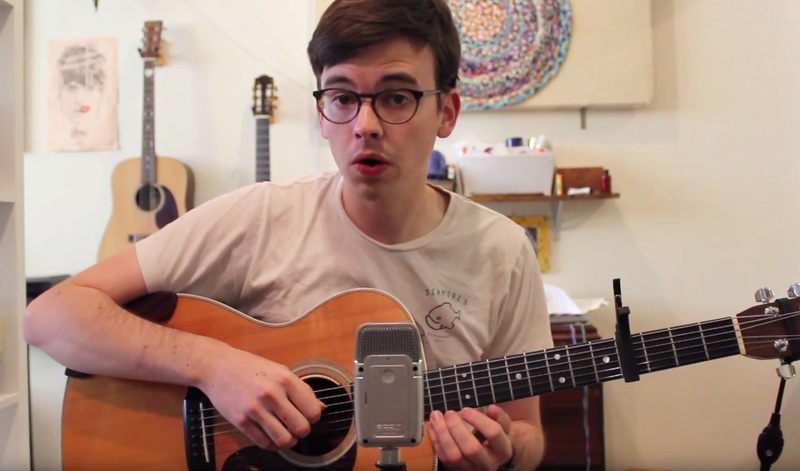 Brian didn’t have an amplifier yet, so he plugged into the family’s radio. The pickups worked! They were very bright sounding, but had one flaw. When bending notes, Brian found there would be an odd sound as the string moved across the pickup. He attributed it to the North-South alignment of the disk magnet poles. Cutting the magnets was beyond the tools he had, and custom magnets were out of the budget.